To claim this profile, please confirm you are Lillly Reynolds. To follow this profile, please let us know your relationship to Lillly Reynolds. 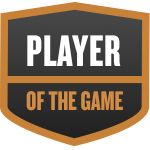 Lilly was selected the Player of the Game in the basketball game against Northside Christian Academy on Tue, Feb 05 2019. Congratulations to #3 Lilly Reynolds for being selected the Metrolina Christian Academy Girls Basketball Player of the Game. RESULTLoss Girls varsity basketball @ Providence Day. The Metrolina Christian Academy varsity basketball team lost Thursday's away playoff game against Providence Day (Charlotte, NC) by a score of 54-26. Lillly's basketball stats have been updated for the win @ Covenant Day. RESULTWin Girls varsity basketball @ Covenant Day. The Metrolina Christian Academy varsity basketball team won Tuesday's away playoff game against Covenant Day (Matthews, NC) by a score of 49-46. Lillly's basketball stats have been updated for the loss vs. Gaston Day. RESULTLoss Girls varsity basketball vs. Gaston Day. The Metrolina Christian Academy varsity basketball team lost Thursday's neutral playoff game against Gaston Day (Gastonia, NC) by a score of 44-33. Lillly was tagged in the video "4 Steals vs Northside Christian Academy." Lillly's basketball stats have been updated for the win vs. Northside Christian Academy. The Metrolina Christian Academy varsity basketball team won Tuesday's home playoff game against Northside Christian Academy (Charlotte, NC) by a score of 49-26. Lillly's basketball stats have been updated for the win @ SouthLake Christian Academy. RESULTWin Girls varsity basketball @ SLCA. The Metrolina Christian Academy varsity basketball team won Friday's away conference game against SouthLake Christian Academy (Huntersville, NC) by a score of 60-17. Lillly was tagged in the video "Game Highlights vs Northside Christian Academy." Lillly's basketball stats have been updated for the win @ Northside Christian Academy. RESULTWin Girls varsity basketball @ NCA. The Metrolina Christian Academy varsity basketball team won Tuesday's away conference game against Northside Christian Academy (Charlotte, NC) by a score of 59-28. Lillly was tagged in the video "3 Fast Breaks vs Westminster Catawba Christian." Lillly's basketball stats have been updated for the win vs. Westminster Catawba Christian. RESULTWin Girls varsity basketball vs. WCCHS. The Metrolina Christian Academy varsity basketball team won Friday's home conference game against Westminster Catawba Christian (Rock Hill, SC) by a score of 58-30. Lillly was tagged in the video "3 Steals vs Arborbrook Christian Academy." Lillly's basketball stats have been updated for the loss @ Arborbrook Christian Academy.